Never miss any of your scheduled activities or events while on tour. 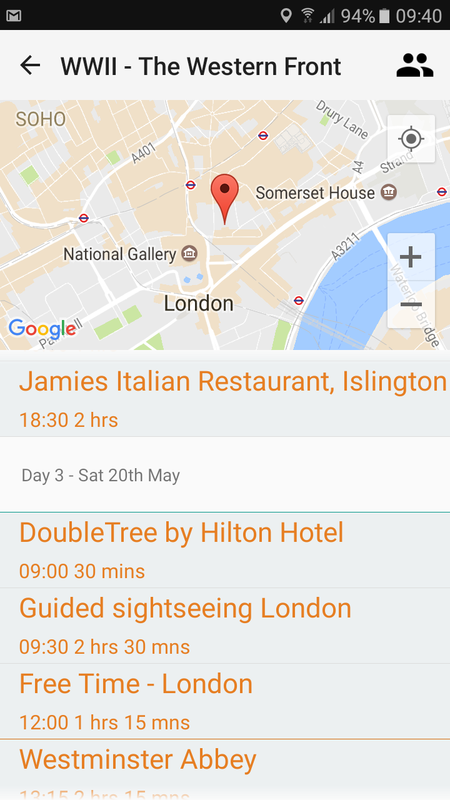 Easily download your tour itinerary and see a day by day breakdown of all your tour’s activities and events. 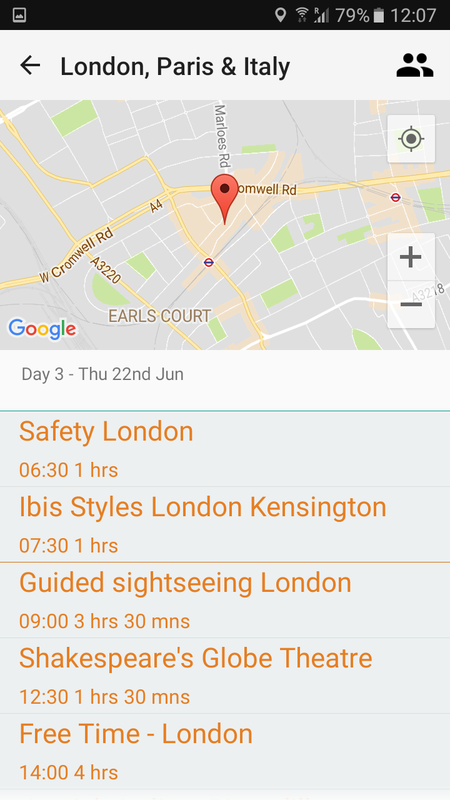 You’ll be able to see all the important information such as dates, days, schedules, timings, the duration for your each of your tour’s activities, as well as hotel location, flight times and more. Download the Lingo Tours My Tour app today and get ready to experience the difference when you travel with Lingo Tours. Always have your hotel address and phone number easily at hand. 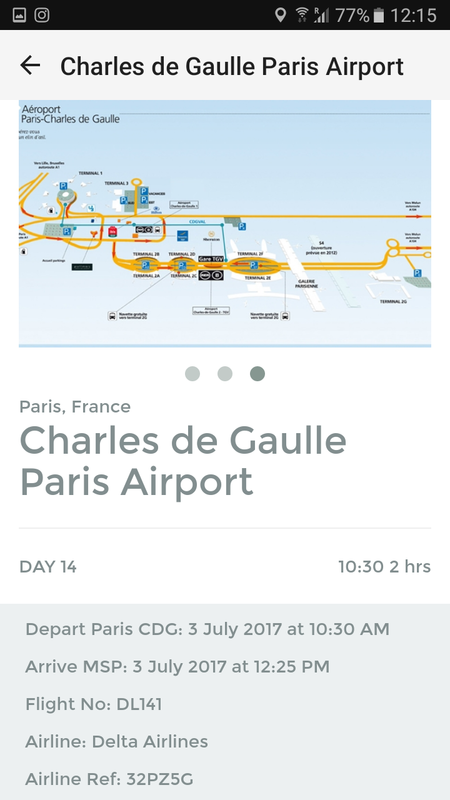 Pinned maps help you find your hotel easily even in the big cities. Easily view all your flight info including departure and arrival times, flight numbers, and other useful airport information. Info such as links to venue websites, contact info, and any specifics related to that activity always keep you informed. Each activity has its own module which you can click into to find out more information about the cool things you’ll be doing. 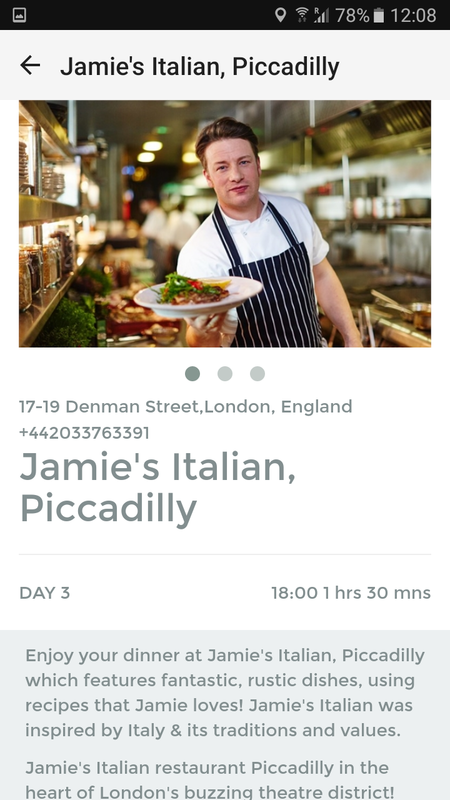 See info on the restaurants you’ll visit and review the delicious menu options for your meals so you can choose in advance. Maps pinpoint exactly where you’re going and highlight any designated meeting points so you can easily navigate yourself at all times. Each stop-over city includes a special safety module so everyone knows where to go, what to do and who to call in the event of an emergency. 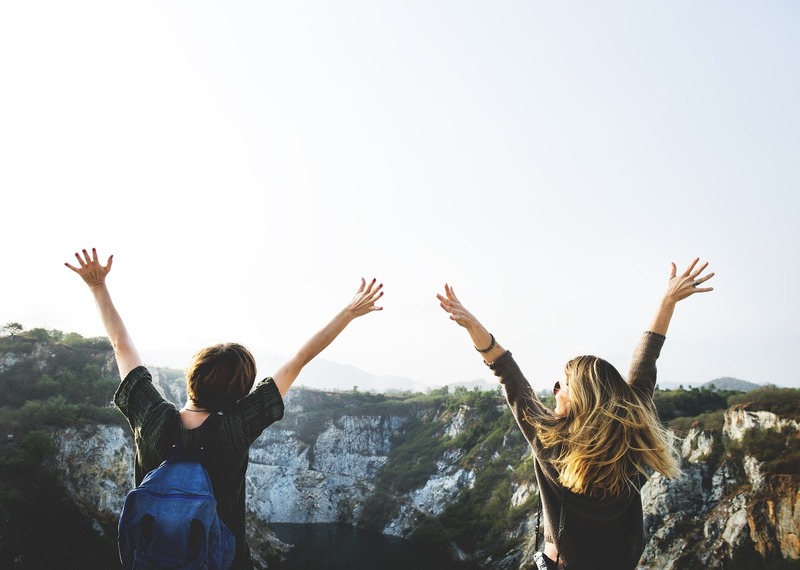 See a day by day breakdown of all your tour activities including important info such as schedules and activity duration. 1. 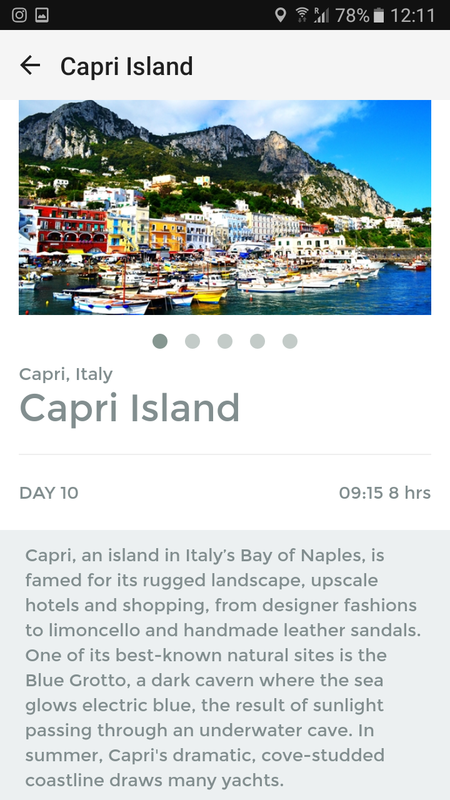 Once downloaded, open the Lingo Tours Itinerary app. 2. On the "Add a trip" screen, enter in your email address and your Trip Reference number. This is your Tour Code and will have been sent to you in an email. 3. Click OK and your tour itinerary will automatically load. 4. 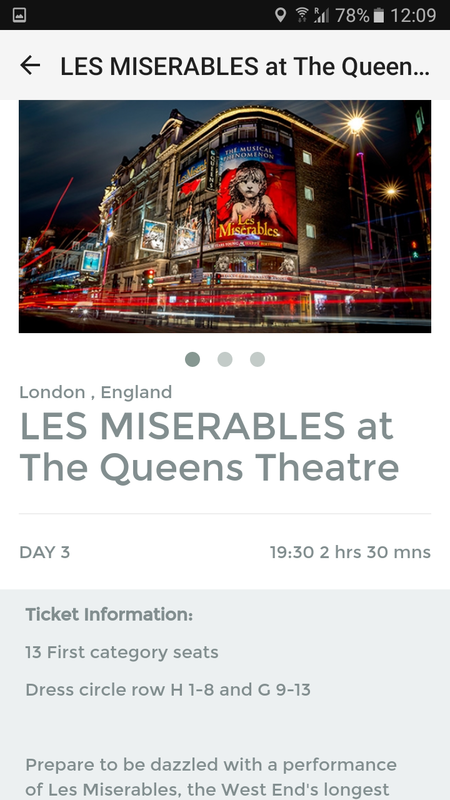 Click View to go into your tour itinerary and view your day by day breakdown. Clicking on each module once will select it and load the applicable map. Clicking on it twice will load that module completely, so you can view all the information available by scrolling up and down. Scroll through the pictures by swiping on the photos left and right. Click on the person icon in the top right-hand corner for information about your Tour Manager. 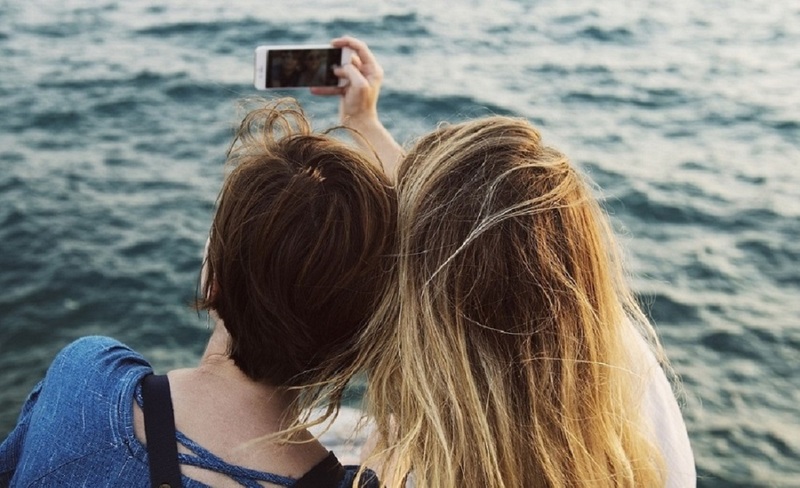 Upload your own photos of places you have visited by clicking into the module and using the camera function. 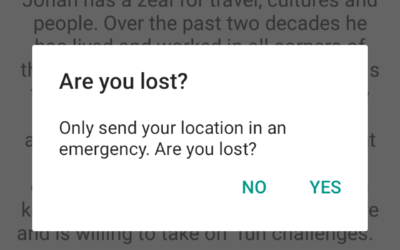 Report yourself lost using the I am lost function within the app. Tap on the person icon in the top right-hand corner of the app to load your Tour Manager's profile. Then tap again on their picture to report yourself as lost. 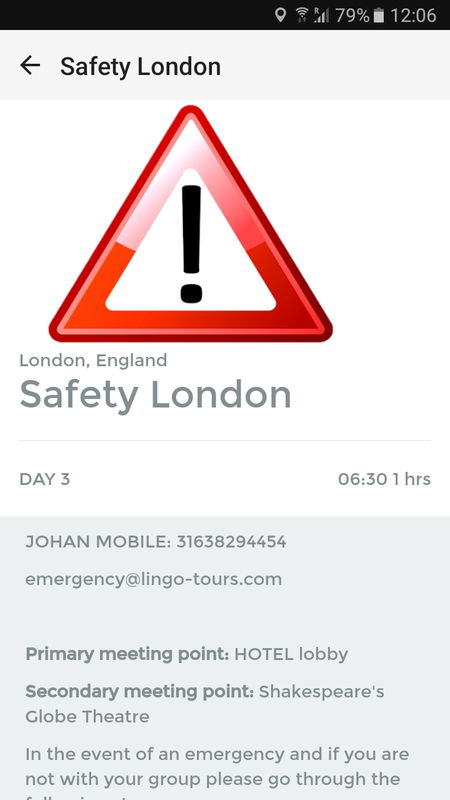 A message is sent to your Tour Manager with your name, date and time that you are reporting yourself lost. 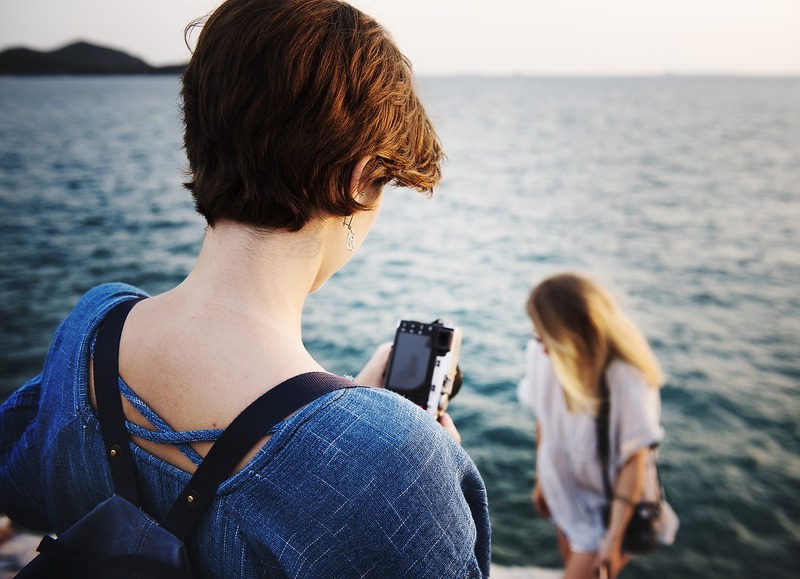 Your Tour Manager can see your current location and make contact with you to help.